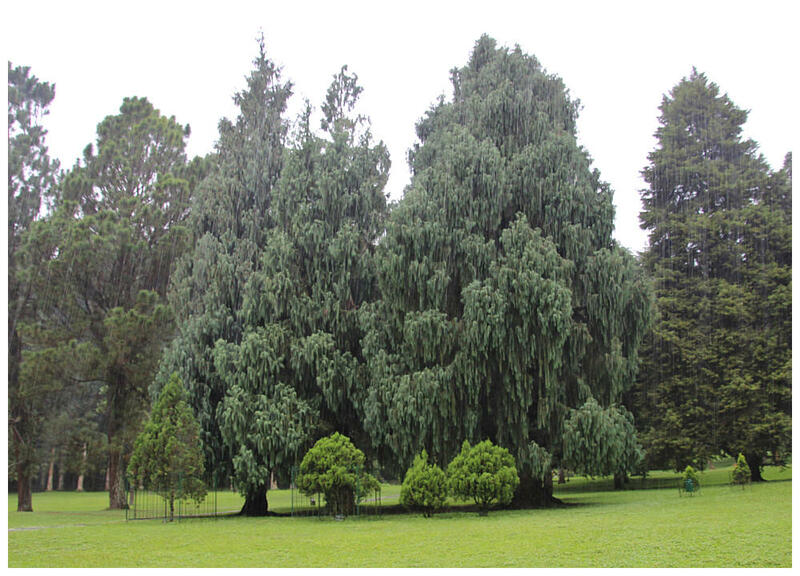 The trees and plants are really nicely preserved and presented in a forested parkland. There are some glasshouses with orchids, cactus and begonia as well. The road enables you to drive through the gardens, which was useful for us as it was raining heavily. There are forest style trees as you go up the hill, from where you have an amazing view of the lake. Absolutely stunning trees and nature view! The 45-meter-high waterfall is the biggest waterfall in Bali. Gitgit is a very picturesque waterfall that roars down a steep stone cliff into a mist-covered pool at the base of a rock face. 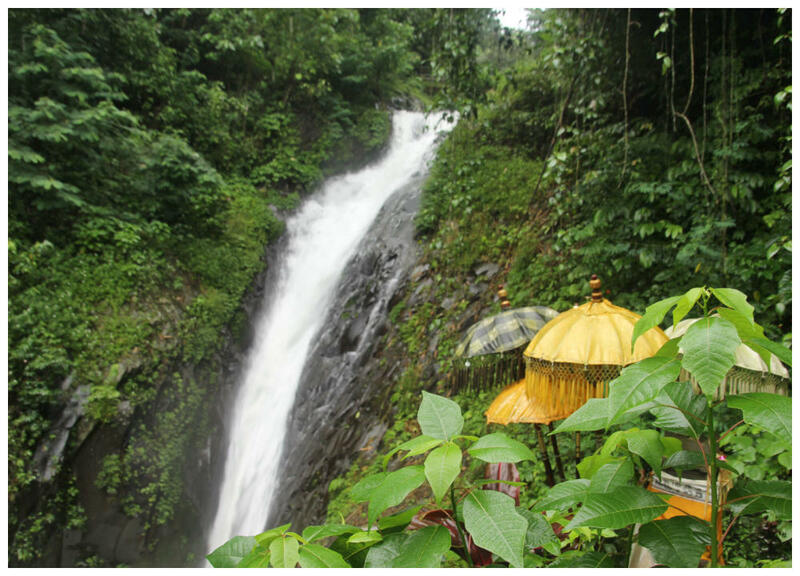 The Gitgit waterfall consists of several waterfalls with different shapes and heights. Halfway along the way the scene changes and on both sides you can see coffee and clove trees. The first waterfall is Twin Falls. The second waterfall is a continuation of Twin Falls, but a bit higher at 60 metres. The third waterfall in Gitgit is called Waterfall Story. You can only see this waterfall from the bridge it is not so high but quite beautiful. Penelokan means 'place to look' and from there can be seen the most beautiful and panoramic view of its surroundings, spectacular mountains, volcanos, deep Crater Lake (the largest in Bali) and bubbling hot springs. 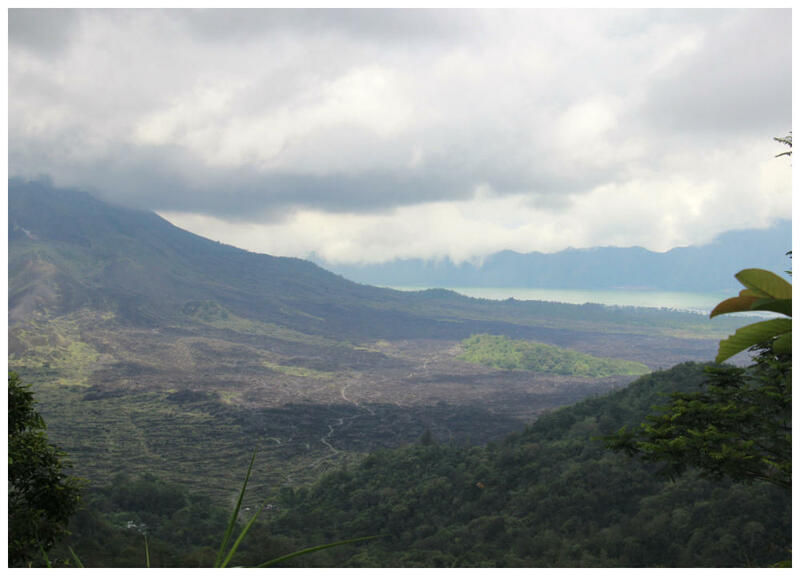 The area is often generically called Kintamani. Vulcanologists describe Gunung Batur as a 'double caldera', ie one crater inside another. The outer crater is an oval about 14km long, with its western rim about 1500m above sea level. The inner is a classic volcano-shaped peak that reaches 1717m. It seems to be the ‘norm’ in Bali that you have to pay to park alongside the road so that you can see the view. There are ‘money collectors’ at each end of the main street. Tegenungan waterfall is at Tegenungan Village, approx. 5 kilometers, south east Ubud. It is very popular with locals and tourists and it is easily visible and accessible from the road. For many people the idea of taking a cooling swim is the image of paradise.